What do the films It, Alien, Jurassic Park and Frankenstein all have in common? They’re all featured in the upcoming game Epic Loon from Macrales Studio, a small indie team devoted to diving back into classic movies and letting you take friends with you. In an interview from GamesCom, the team unpacked the direction for where their project is headed, as well as mentioning that, even though only four movies will make up the foundation for the game itself, there will be winks and nods to other popular movies. 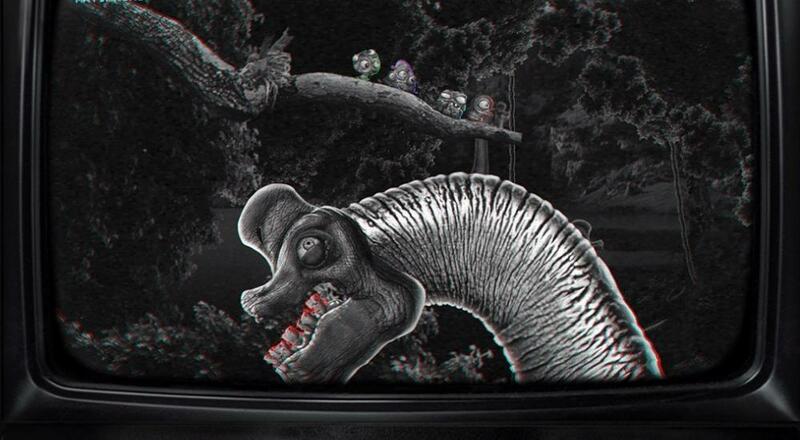 Epic Loon is set from the perspective of a person watching movies, while the player controls aliens who have invaded the movies as their actions change the film. There are four playable characters (Cap, Gro, Tri and Bou) but unfortunately we only catch a brief glimpse of them in the interview video below. Macrales Studio YouTube channel features both the videos below, where highlights from the former come in the form of the game’s platforms being revealed (PC, X1, PS4, and, if possible, Switch) and the estimated release date (2018 with console ports to follow before Q2 of 2018). The second video features a quick snapshot of co-op (0:54) as well as the quirky menu layout and its cheeky menu choices such as “Vegan Mode” and “Advertisements” being options the player can toggle on or off. While this shows the developers aren’t taking themselves too seriously, it will be interesting to see just how a Vegan video game mode plays out.